Much like the cyclical nature of good vs. evil, mankind must always face the possibility of there being another attempt to film an adaptation of Stephen King’s very, very, very long post-apocalypse novel The Stand. Various people have tried to make new versions of The Stand over the last few decades, with Matthew McConaughey attached at one point to play the villainous Randall Flagg as a tie-in with his eventual role as the Man In Black in The Dark Tower (they’re the same guy in the original King books). That version fell apart when the Dark Tower movie turned out to be a disaster, but back in April we heard that director Josh Boone was developing The Stand as a TV miniseries for CBS All Access instead—a move that would give give the story the space it needs, since the previous adaptation from 1994 was fairly good already. Now, it turns out that the CBS All Access rumor was right, and Entertainment Weekly is reporting that the streaming platform has officially given the project a green light. That means, against all odds, a new, 10-episode adaptation of The Stand is actually going to happen. Boone co-wrote the script with Ben Cavell, and he’ll also direct this new TV take. In a statement, King said that the people making the adaptation “know exactly what they’re doing” and that the scripts he’s seen “are dynamite.” He also had positive things to say about The Dark Tower, but the sooner we just forget about that the better. As for Boone, he seems to be a good choice for this project based on his passion alone. In a statement of his own, he says that his religious parents found a copy of The Stand under his bed when he was 12 and promptly burned it, leading young Boone to send King a letter telling him how much he loved his work. King then sent Boone a box of books and a thoughtful letter of his own, which convinced Boone’s parents to suspend their ban on his books. 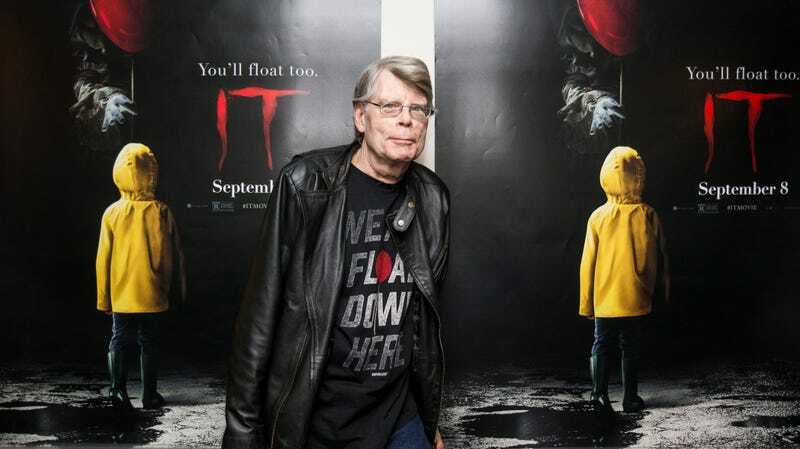 This inspired Boone to include a cameo from Stephen King in his debut film Stuck In Love (in a scene that happens to feature a bunch of Dark Tower Easter eggs). Is it too soon to ask Boone to make a better Dark Tower adaptation? Actually, let’s wait and see how The Stand works out, then we’ll ask him. It&apos;s Rumor Time: Is CBS planning a digital The Stand miniseries?